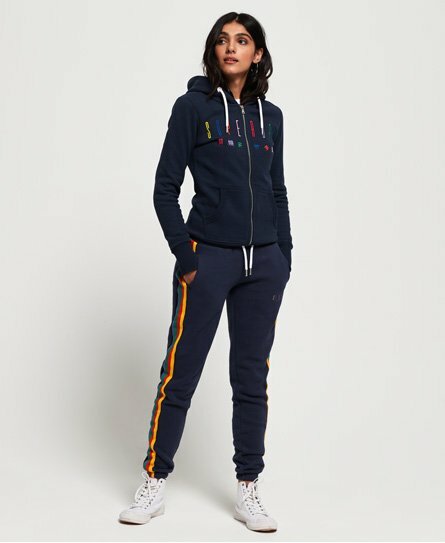 Superdry women's Carly Carnival joggers. Look stylish and stay comfortable this season in the Carly Carnival joggers, featuring a drawstring waist, two front pockets and an embroidered logo on the leg. These joggers have been completed with stripe panelling down the legs.